After a lot of blogging last week I’m taking it a bit easier this week. 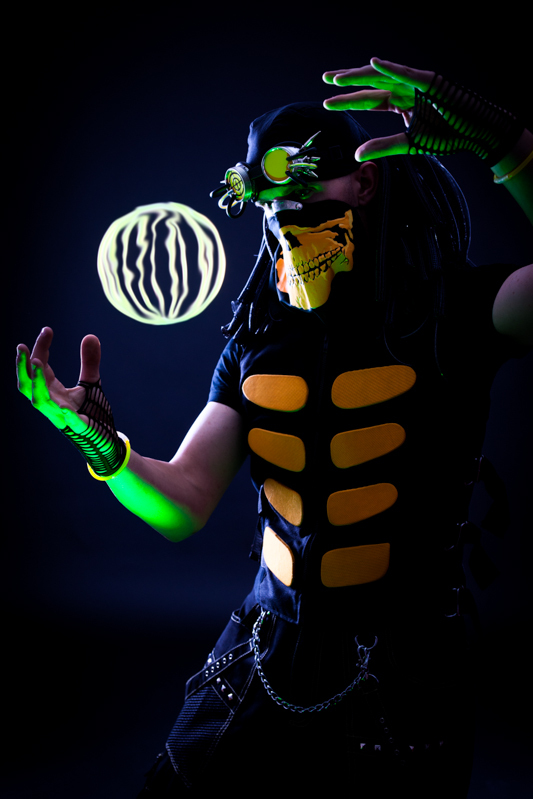 ~ToXic~Trash~ is a local cyber-goth so it is time to get into the studio and do some crazy lighting. This entry is filed under lightGIANTS, Portrait Session and tagged "lightroom", 200ws, 24-70mm, 400ws, 85mm, 900, Alpha, back, ball, Black, Blog, Bowens, Camera, cyber, fill, gell, Germany, glowing, goth, key, Killing, Light, lightGIANTS, Lighting, Photographer, Photostudio, portrait, sniper, Softly, Sony, Studio, them, ToXic, Trash.